Don't hesitate. View the vid! Btw. 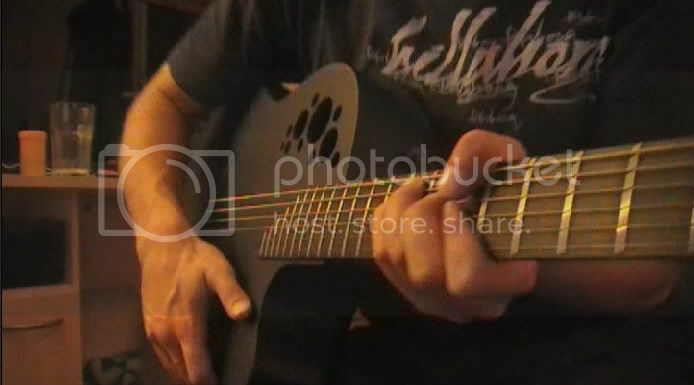 I'm confusing Chord-Shape with Chords sometimes, but luckily, that isn't the point of this vid :) My apologies. Learn how to play the guitar relaxed and easy! Easy and simple tutorial. Thanks for helping a novice. Great trick, I use it all the time - especially because my first finger is a bit weak and is in agony after playing too many barre chords. This blog post is great. I've been reading your blog posts regularly and I think they're great! Keep up the excellent work! Followed! Another great post man, you really love what you're doing and it shows. Cheers. Will sure come in handy but first I've got to gather some courage to actually pick my guitar and learn it! Thanks! Bookmarked this so I can come back when i get my guitar! hey glad to see your back. Not that I'm surprised. Even after all these months I still view your blog daily. Hell I even tried out some of your guitar lessons last saturday. Not with much success mind you. But it was fun all the same. Man that's an awesome guitar, i'd love to see a post where you do a few reviews of guitars and their prices. I'll have to give that a whirl, I rarely use my thumb for anything other that muting my low E string. Great video and all, but I like your guitar the most. I haven't seen anything like that before. It has holes? Using thumb is a very great technique.